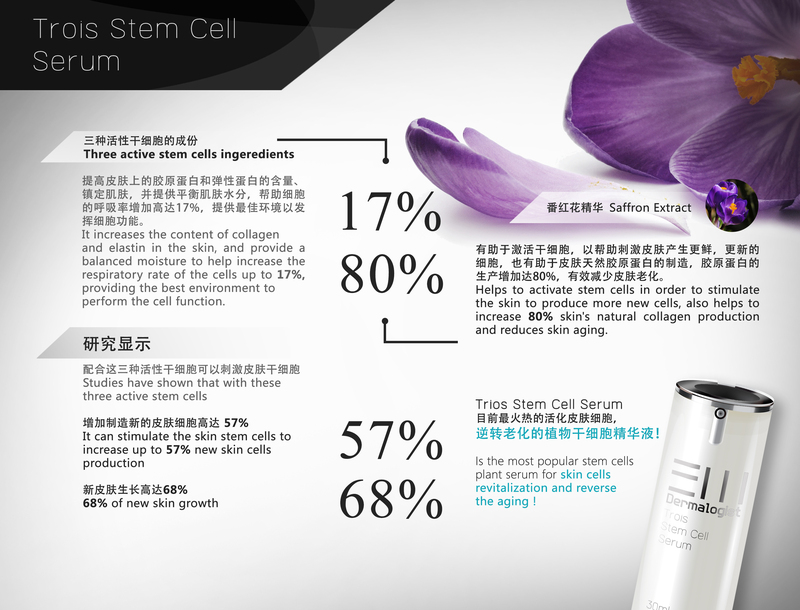 Trois Stem Cell Serum skin stem cell therapy, which was elected by International Society of Cosmetic Surgery as a product which is highly comparable to the effect of micro cosmetic products. 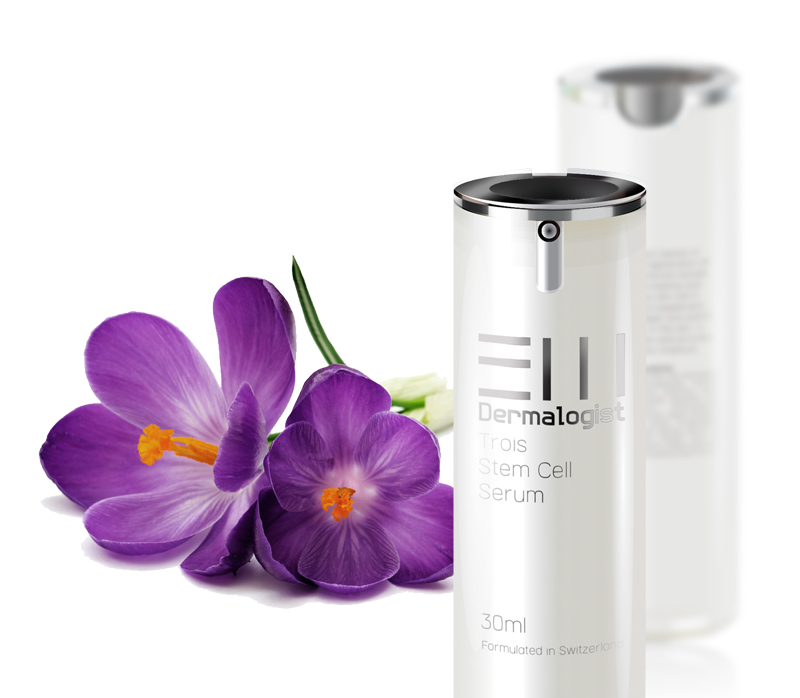 The natural ingredients revitalise the skin's stem cells, creating fresher and healthier skin cells. This naturally helps to smooth the wrinkles and fine lines, your skin will definitely looks younger. Swiss formula, a magical reversal of skin aging, reveal your youthful beautiness!